Futron’s 5,000-square-foot warehouse and staging facilities enhances our ability to securely deliver solutions to our customers around the world. Following the close of the US Government’s fiscal year, Futron sees a large increase in shipments in and out of our facilities on a daily—and sometimes hourly—basis. 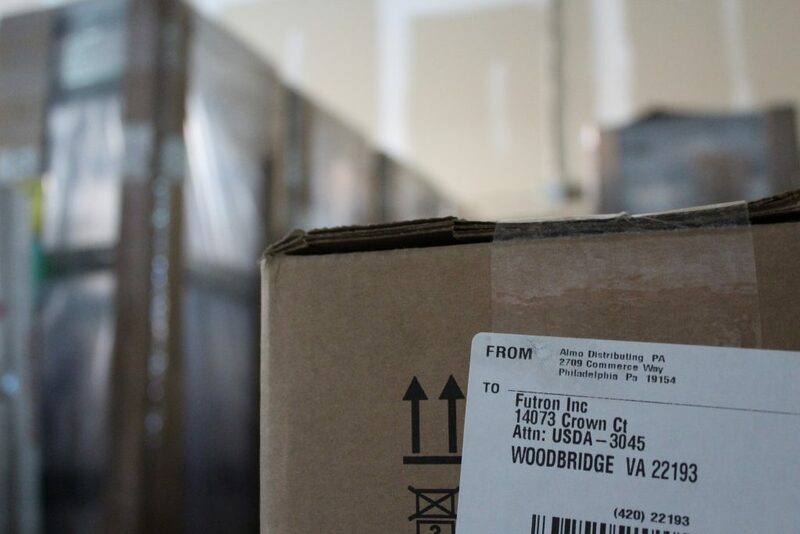 Futron’s warehouse receiving shipments hourly across a range of projects. Beyond regularly receiving and delivering materials, Futron leverages our facilities to maintain labs for testing and staging solutions before arriving at the customer location to increase efficiencies and ensure customer success. To support Futron’s ongoing maintenance contracts, replacement and spare equipment are tracked and secured in our warehouse allowing us to quickly dispatch replacement parts to customer sites in conjunction with customer Service Level Agreements (SLAs). 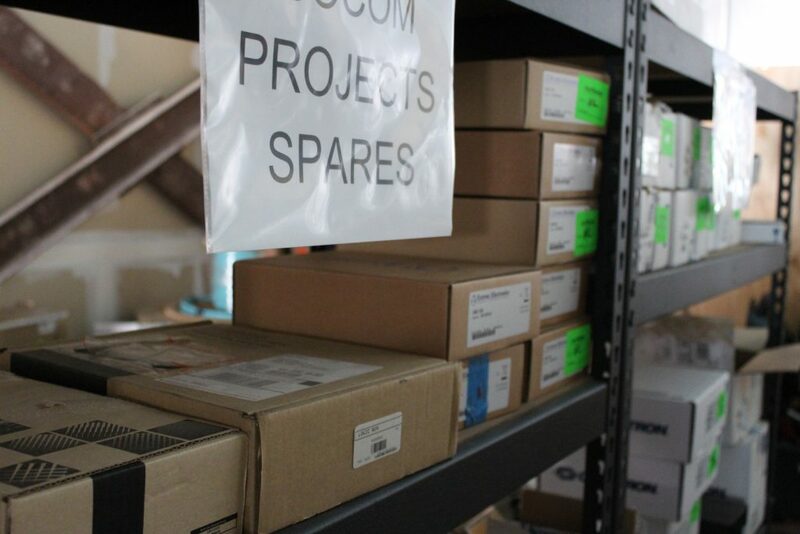 By tracking spares by project within our inventory management system and physically within our warehouse, Futron is able to efficiently locate and ship replacement parts to customer sites. 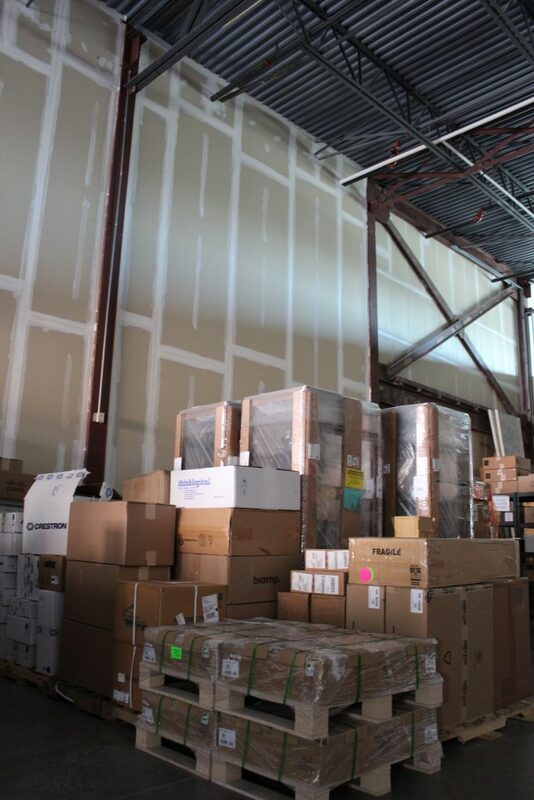 All materials entering and exiting Futron’s warehouse are tracked via Callisto, our inventory management system. Callisto allows our customers to receive and accurate material list including pertinent information like serial numbers and order numbers to facilitate efficient receiving and asset management, sometimes before inventory even arrives on-site. Futron’s inventory tracking system enables our team to have real-time access to the type, identification, and physical location of Futron-supplied hardware and other materials. Adjacent to our Corporate Headquarters, our warehouse and staging facilities follow ISO 9001:2015-certified logistics and engineering processes. As part of Futron’s ISO-certified Procurement processes, we have guidelines for receiving material, delivering material onto customer sites, handling Return Material Authorization (RMAs), completing documentation, and other elements of our comprehensive logistics offerings. Included within our Quality Management System (QMS) Manual, these processes intersect with Project Management and Accounts Payable to ensure proper tracking and reporting. Futron also has a dedicated truck fleet, including life gate trucks, and we regularly make on-site deliveries to customer sites. Our vast carrier network enables us to expedite shipping and streamline customs and other clearances for materials shipped around the world, including recent project sites in Afghanistan, Germany, Iraq, Japan, and elsewhere. Over the past 23 years, Futron has enhanced our expertise and advanced our processes for effectively procuring, shipping, receiving, and delivering material around the world. Our expanded Procurement and Logistics Department continues to increase our ability to support our customers’ needs through efficient processes and a commitment to Quality Control.